Regulation: Plus500 UK LTD is authorised and regulated by the Financial Conduct Authority. Plus500 AU LTD is regulated by Australian Securities and investments Commission – Australia only. Plus500 is a highly reputed CFD broker that has carved a niche for itself as one of the most sought after broker in the financial industry. Plus500 is suitable for experienced traders rather than beginners or novice ones. Plus500 was founded in the year 2008 and Plus500 UK LTD is based in London, UK. Plus500 UK LTD is authorised and regulated by the Financial Conduct Authority. Plus500 CY LTD is authorised and regulated by the CySec (Cyprus Securities and Exchange Commission). Plus500 AU LTD is regulated by Australian Securities and investments Commission (Australia only). CFDs are the only products available on Plus500 by “CFD Service“. It has an uncluttered design on its trading platform as well as on its website which makes trading a pleasant experience for customers and clients. Please kindly note that it does not accept traders from the United States of America. Unlike other brokers, Plus500 does not offer multiple trading platforms so as to confuse its traders. Rather it offers a solitary platform where traders can come and trade at their own comfort zone. In this age when platforms like MT4 are getting so popular, it might be deterrent for traders who are looking for specific trading platforms with Plus500. Nevertheless, the broker has a unique in-house Plus500 trading platform that has been designed by industry experts and it is ranked one of the best. The platform is available in 3 different types of versions namely web-based, downloadable version and mobile platform. The interesting thing about the trading platform offered by Plus500 is that the features remain constant in all types of versions. As a result, traders can easily switch from one version to another and that too without the need to regroup the data. The website is clean and the data is available in a single place. Traders need not have to run around searching for important links as all of them are placed nicely all over the site. The header of the website has 4 clearly visible tabs that show complete info about trades received and current trade position. The only thing missing is graphs and multiple charts options and the broker needs to work on it. The broker is offering two different types of bonus to its existing customers. The first one is a €25 which is offered when one sign ups for the demo account. It is important that one needs to verify their phone number in order to claim this amount. The other bonus is related to 1st-time deposit amount and it is “Up to 30% Welcome Bonus” (T&Cs apply). One should know that the bonus money is added within 24 hours of claim and the amount is added to one’s trading account. One can withdraw the bonus money only when he/she reaches 60 TPoints (trader points). The bonus also expires in 3 months. Please also keep in mind that there is one bonus per household/IP address. One of the greatest features offered by Plus500 is the availability of unlimited demo account to all traders who register with this broker. The account is available in both downloadable as well as a web-based platform with $25,000 paper money. In this way, it provides the perfect junction for the newbie traders who have just started their Forex career and want to explore the market before they can jump for live trading. If you are someone who does not have the monetary power, then you can use the demo account feature of Plus500 and learn the tips and tricks of trading in Forex market. It will also refine the trade strategies and you will be better prepared for the worst situation. It will also make you acquainted with the trading platform of Plus500 and it will allow you to place trades in a hassle free manner. One of the main reasons people opt to trade with Plus500 is its rich and amazing education centre. It is a learner’s paradise where one can get all types of information on Forex market and develop one’s knowledge about trading. It offers hundreds of thousands of journals and other tools on trading. There is a charting package available that can give enough guidance and help to the prospective traders how they wish to progress their knowledge of the market. There is no dearth of free educational guides on the website of Plus500 and the broker offers every sort of help to widen the knowledge of its traders. There is no money risk in the Plus500 demo account as you will be dealing with virtual money and it is highly recommended for anyone who wants to make a stable and profitable career in CFDs market. In addition to above, new traders will get €25 as a bonus when they sign up for the demo account of Plus500. 1) Wire Transfer: This is the standard process to remit money and you need to give details regarding the funds that have to be wired and from which bank. One would also need to state the minimum and maximum amount for fund transfer. The maximum deposit is £100,000 and the minimum deposit is £300. It can take up to 5 days for the funds to arrive in the trading account because a lot of verification is involved on the part of the bank concerned. 2) Skrill Moneybookers: It is one of the most trusted and preferred ways of sending money to one’s trading account. All one needs to do is to navigate the site and go to the “Funds Management” web page and from the drop down option, select Skrill MoneyBookers fund transfer method. Pop-up windows will open where the email id of MoneyBookers is to be given so that the fund transfer can be confirmed. As far as Plus500 withdrawals are concerned, the FCA regulations make it compulsory on the part of the trader to produce an ID proof for verification. The ID can either be a driver’s license or current passport or any other type of official document. It has to be presented at the time of withdrawal; otherwise, transactions will not be processed. The document can be scanned and uploaded on the website of Plus500 in the form of a doc, jpeg or pdf file format. Please allow 24 hours for the application to review after which one can contact the customer support for the delay in the withdrawal process. How Reputed is Plus500 – Any Complaints or Dissatisfied Clients? It is one of the best UK forex brokers in the market with more than 1 million registered traders hailing from different parts of the world. 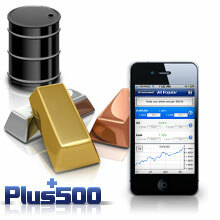 It is a trusted broker and all your funds are safe with Plus500. As far as complaints are concerned, there are very few customers who are dissatisfied with the overall service of this broker. There are less than 1% cases where traders have complained about the bad service of Plus500 and have withdrawn their deposits. Overall there are no issues with this broker; in fact, it has received favourable ratings from most of the expert traders in the industry. There are not many demerits of Plus500 but there is one area where this broker has to work. It does not offer Live Chat and Phone Service to its traders. Live chat and Phone Support are preferred by many customers while interacting with support staff and if Plus500 works on this area, it can indeed provide an interactive interface to its existing clients. A big plus point about this broker is its amazing customer support program that attracts hundreds of traders towards itself. Customer support is available all 7 days a week for 24 hours. It does not offer phone support but there is e-mail support which is highly responsive enough to solve your problems promptly. One can contact the staff through emails also and an expert will attend you in less than 10 minutes. 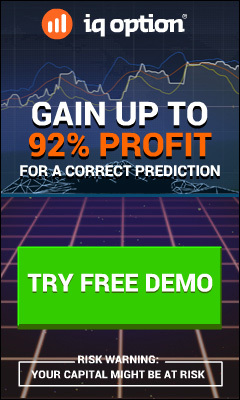 The website interface is quite good and it is ideal for both newbie as well as expert traders. It offers more than 30 different languages with the best resources and trading tools that give a roller-coaster type of experience which you will never experience anywhere else. The staff members are very committed and have vast knowledge about the market with 10 years of industry experience. So you are placed in best hands and the guidance you seek for your trading support is rated best. At present, the broker does not live chat feature but hopefully, it will be included in a short time in future. Plus500 does not have many of the bells and whistles that other brokers in the market has to offer. But there is a reason you should opt this broker because it is one of the oldest and most trusted brokers for online CFDs trading service. The trading platform and technology so offered is top notch and it combines the right balance of logic and innovation. It has a dedicated support staff that are soft spoken and available all around the clock for help. If you are looking forward to breaking away from the pack and want straightforward CFDs trading without fluff, Plus500 is the best option. It offers a “€25 No-Deposit Bonus” for its demo account in addition to the “Up to 30% Welcome Bonus“. This is a generous offer that you will hardly find anywhere else. Open a trading account with Plus500 today itself and you will never regret!